Cooking gear is one of the first things I pack for an outdoor adventure. Forget the tent, the boots, the insect repellant - I’m all about the food. 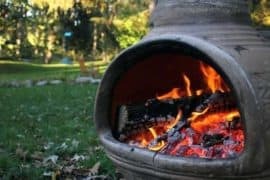 It goes without saying that maintaining energy levels are vital while out hiking or camping, but preparing for outdoor cooking is about so much more than that. It also forms one of the most exciting and beautiful parts of the camping experience. And if you’re going to be cooking while outdoors it’s important to get it right and do it properly. No one wants to be nursing a bag of Doritos the entire time (I hope). 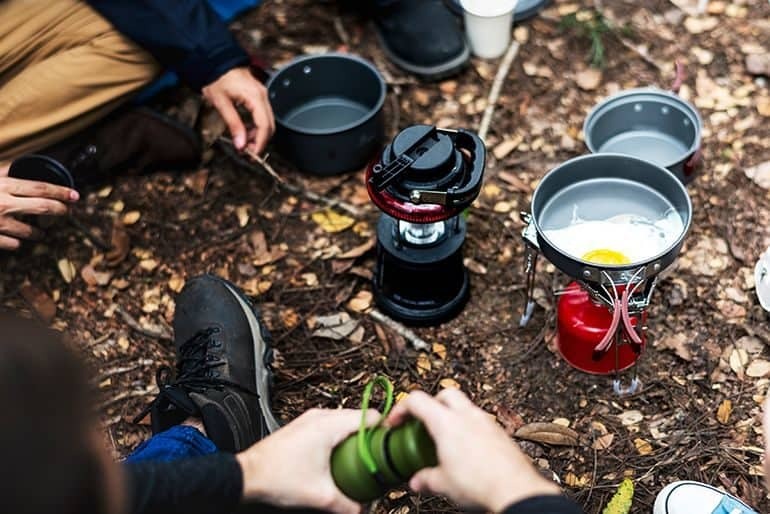 Cooking outdoors without all your creature comforts however is a totally different beast to doing it your home, so I’ve put together my top 8 best camping cooking gear to make your outdoor cooking a cinch. 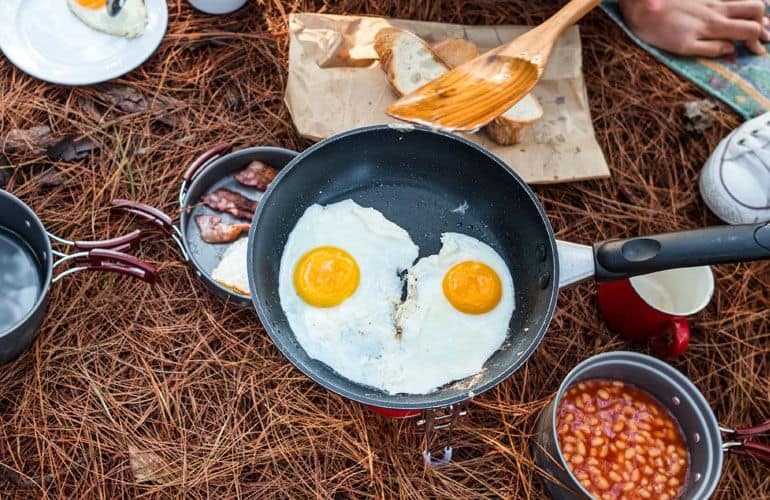 From key gear to key tips, here’s everything you need to know for the ultimate camping cook-off. Secure and functional food storage can help keep your food fresh and safe, but it also does more than just that. Camping can leave you exposed to certain animals, namely bears, so it’s important to be able to pack up quickly and securely to prevent enticing one your way. Good portable food storage is the way to go, and fortunately they’re easily affordable and secure. I like to be organized here and organize food and drink between a couple of coolers. I have one exclusively for water and other liquids (you might even want an extra cooler for more ‘grown-up’ drinks) and then one for any food that needs to be kept cool, especially meat. Ok, sure, it’s not really a tool box but let’s pretend. This is for all your key cooking gear so you have everything in one dependable and go-to place. 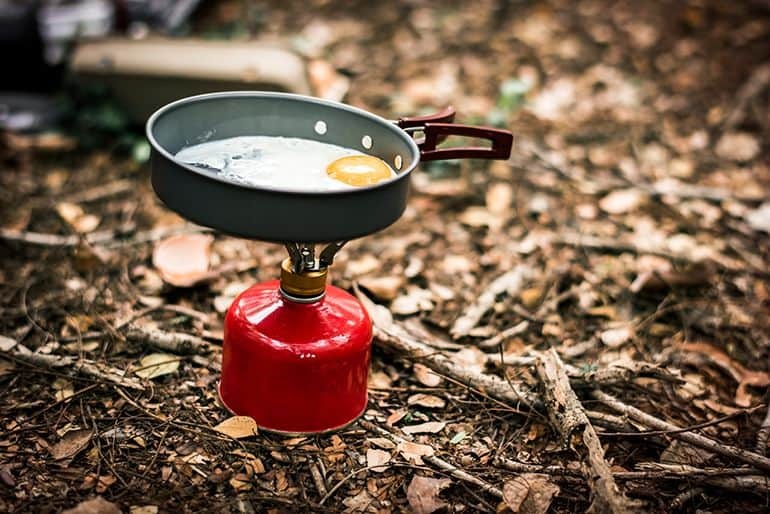 From a camp griddle pan to even a tin opener, you should have everything covered. This isn’t always the first thing that people think of when packing for camping, I can’t stress enough the importance of a good table. A reliable surface can help you prepare food as well as have somewhere to eat. I will admit however that this very much comes down to where you’re camping. A lot of campgrounds have picnic tables, but if you’re going it alone in a dispersed ground then you might not have this luxury. Some tables can be quite heavy and bulky, even when folded, so only bring one of these if you’re living out of the car. These obviously aren’t convenient to lug around if you’re travelling by foot. I know, I know, we all prefer a natural fire to have going at the center of our camp. However not all shared campgrounds allow them. If fire is a no-go for you then a portable camp stove is the way forward. Given their relatively small size, portable stoves are actually quite quick heating up and are easily to store away. In fact, even if you are allowed to have a fire going at your camp, I still recommend having one of these as a backup for easy access to hot water for tea or coffee first thing in the morning. So easily forgotten, but one of the most important things you can bring. A lantern will help light up your entire camp, while a torch gives you easy access to light while on the move. If you’ve ever set up camp in the dark then you’ll be familiar with the brilliance of a lantern. The outdoor cook’s best friend. I don’t think the importance of a simple iron skillet can ever be overstated. 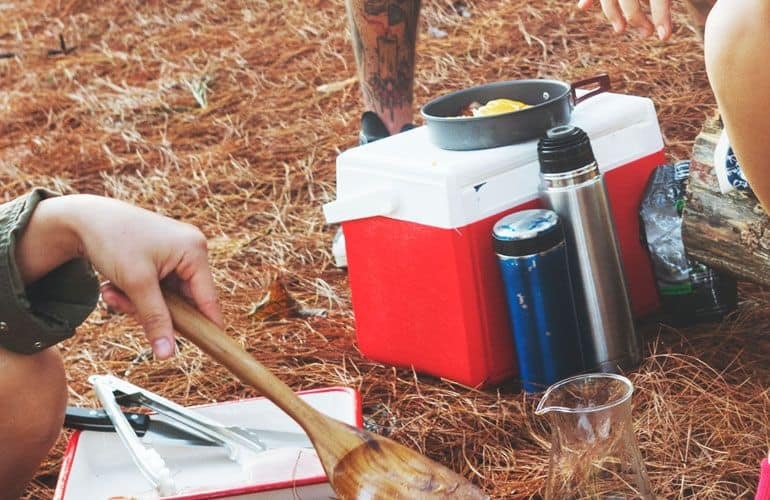 It’s one of the most versatile cooking tools out out there, and should be the centerpiece of your camping cooking arsenal. Scrambled eggs, bacon, hot dogs, burgers, grilled vegetables… Even pancakes. All of these can be done on an iron skillet. Look out for a durable one, but ensure it’s lightweight enough to transport around, and also make sure it has a non-stick surface for easy cleaning. To keep things as organized and easy as possible, try to do as much home meal prep as possible. Do any meat cutting and vegetable chopping at home, before then portioning into ziploc or freezer bags and storing in your cooler. This helps save on taking any unnecessary equipment, while helping you save time on meal prep at the camp. Fan of scrambled eggs? Even these can be prepared way ahead of time. Before you leave home, break and whisk your eggs. Serve into ziploc bags and store in an airtight cooler container. This will save you space and make things easy when it comes to cooking at camp. Simply pour the mix onto your hot skillet and you’ll have scrambled eggs in minutes. If you are lucky enough to be cooking over a fire then it’s important to keep in mind positioning. A lot of people make the mistake of placing food directly over their fire. 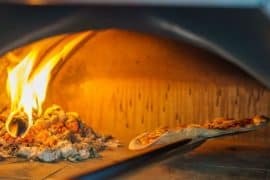 Not only does this put your food at high risk of burning, but it can create hot spots that can result in your food being unevenly cook. 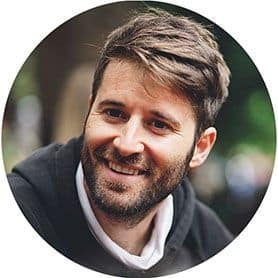 With meat in particular, this can be dangerous. If you cook it over indirect heat to one side, it will cook the food more evenly without scorching it.